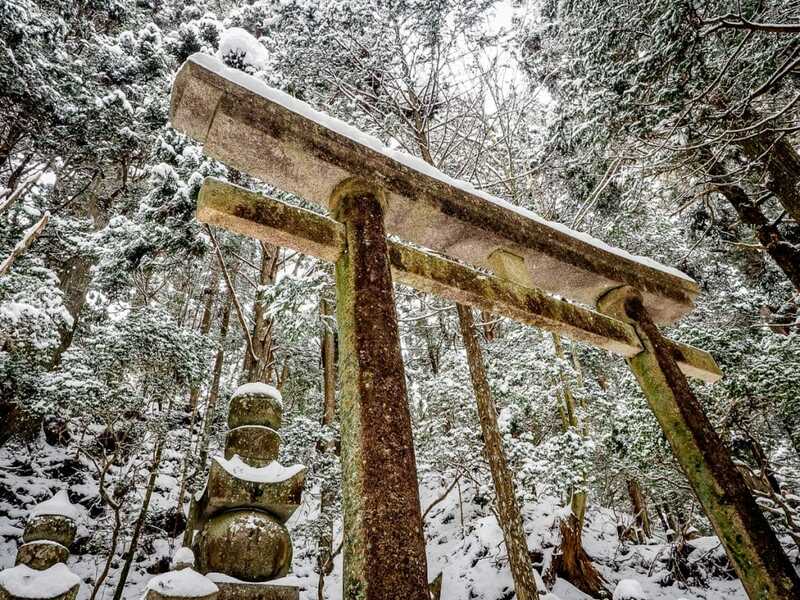 On my recent 10-day winter trip to Japan, my plan was to not step foot in a single city, hike parts of the Kumano Kodo pilgrimage, one of the world’s best pilgrimages that travelers can easily embark on, and only stay in traditional minshuku, ryokan, and temples. 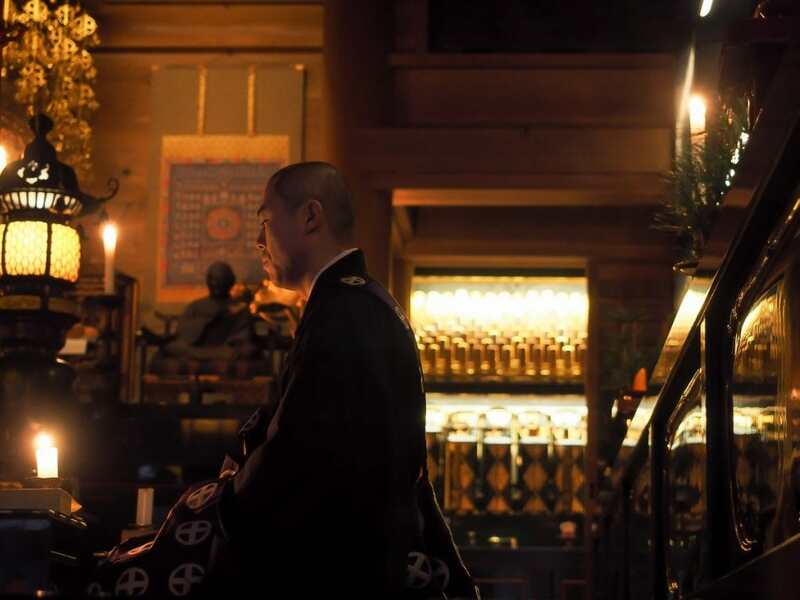 For the latter, doing a temple stay in Koyasan seemed like a must, and after doing a lot of research, Eko In Koyasan (Ekoin Temple) (see reviews / check prices) seemed to be the best temple temple to stay in Koyasan, or “Koyasan shukubo”. I also purposely visited at the coldest time of the year, hoping to get some sub-zero temperatures and snow (as a Canadian living in a subtropical country, I truly miss the cold), and my visit to the sacred mountain-top temple town of Koyasan surely delivered. 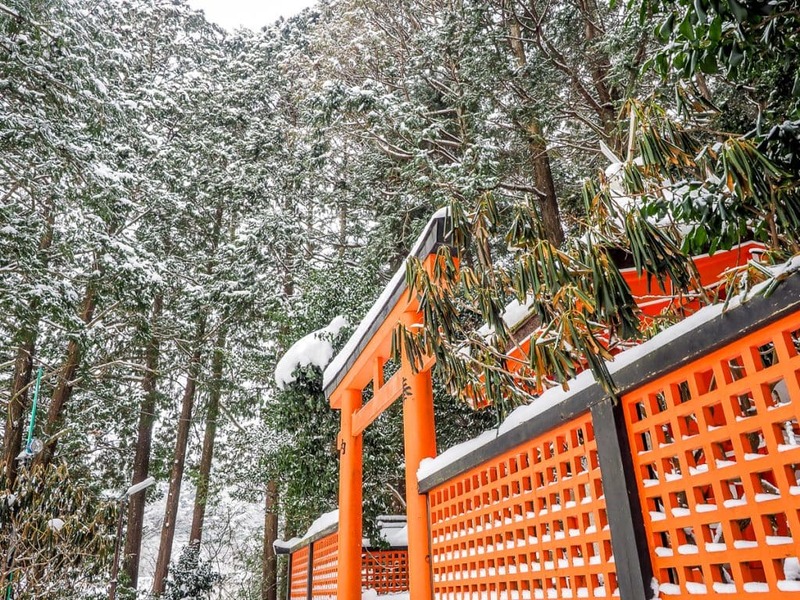 If you only want to visit Koyasan as a day trip from Osaka, this self-guided Mt. 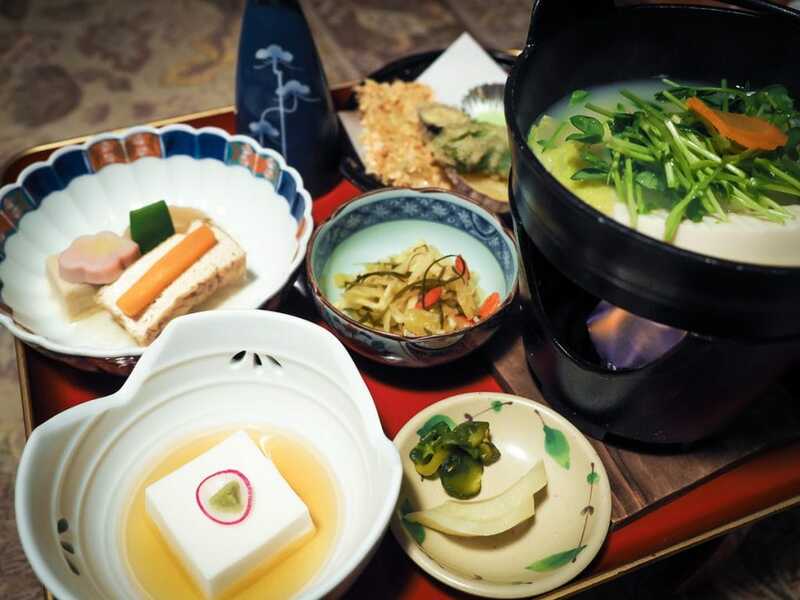 Koya day trek includes transportation and a shojin ryori lunch (see below) at one of the famous temples, or you can try this more thorough guided English Koyasan tour from Koyoto. 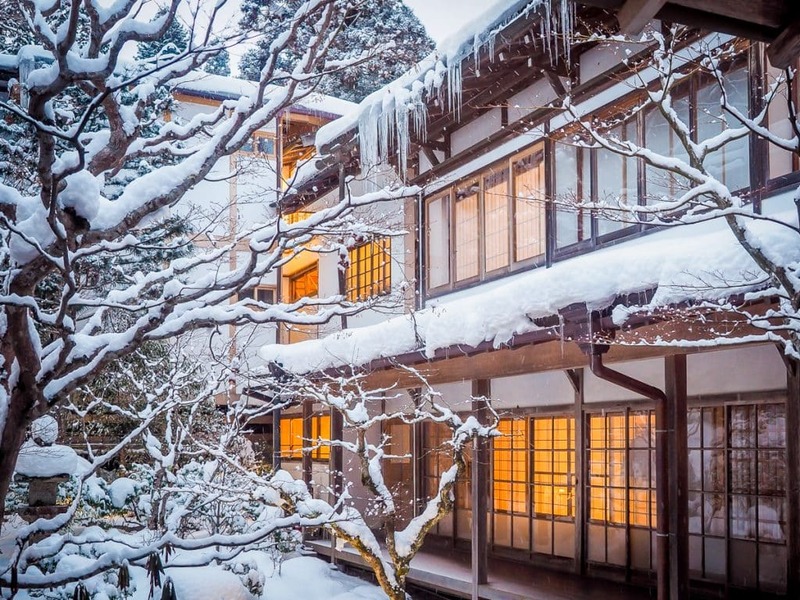 However, as you will find out below, staying in a Koyasan temple stay is a must! 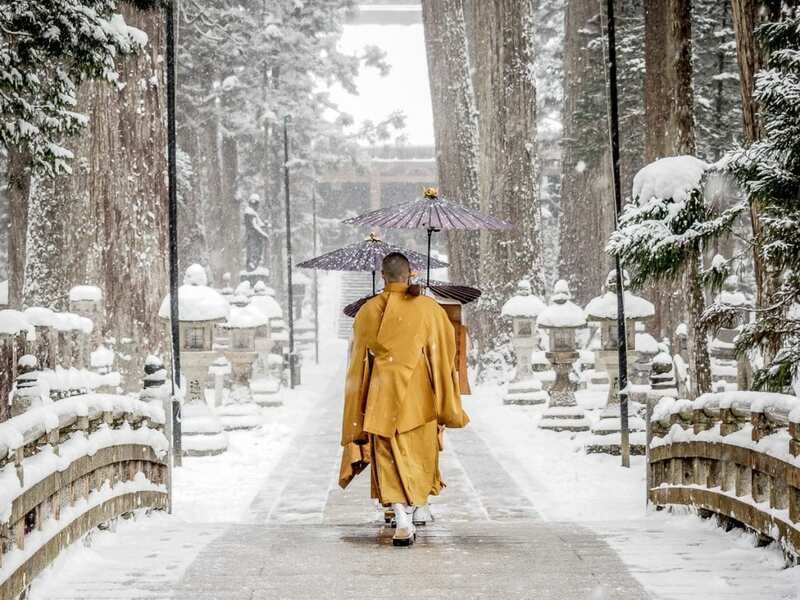 Monks walking to Torodo Hall, the spiritual heart of Okunoin Cemetery. You can buy this image from my Spiritual Photography page. 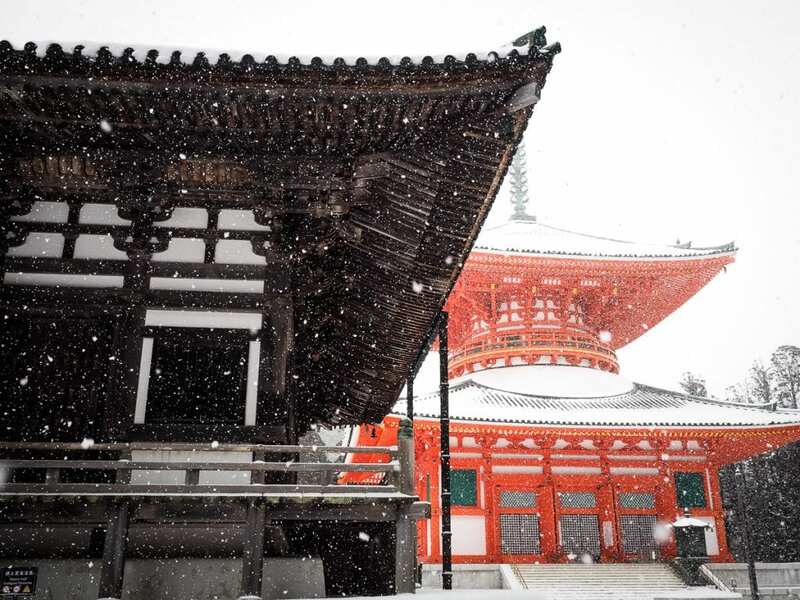 Koyasan is regarded as one of, if not the most important spiritual destination in Japan. 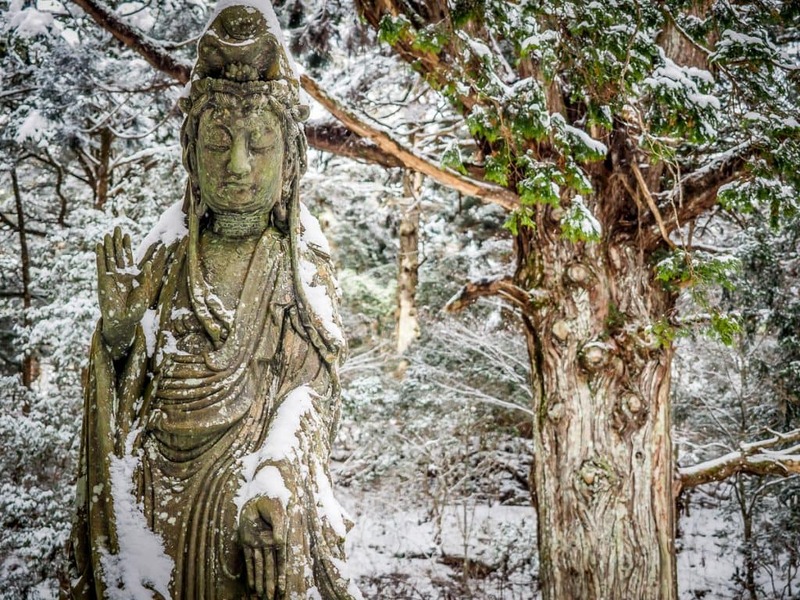 Located in Japan’s Kansai region, it was settled over 1000 years ago by Kukai, the founder of Shingon Buddhism and one of the most prominent religious figures in Japan. Kukai is interred at Koyasan’s Okunoin, the largest cemetery in Japan, where it is thought he is actually still meditating and awaiting the coming of Miroku (Maitreya), the Future Buddha. 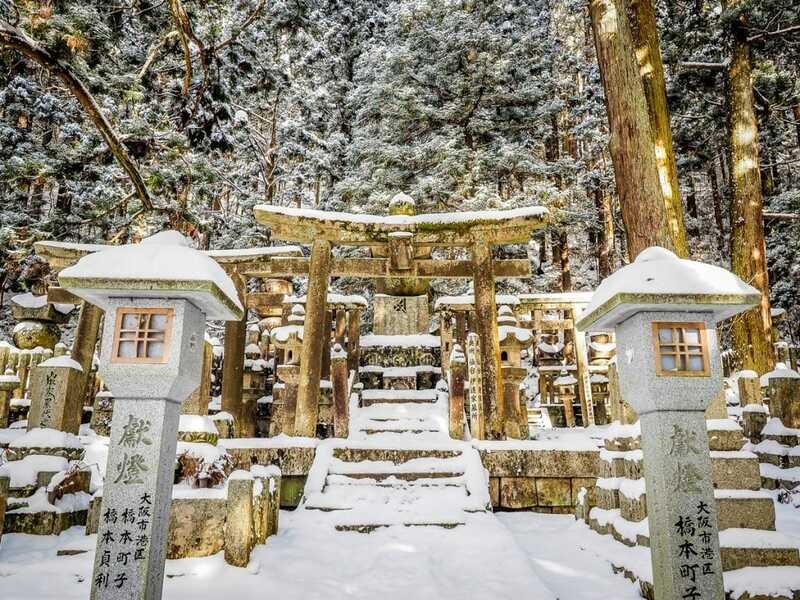 Koyasan is both a UNESCO World Heritage site (along with these other amazing temples in the area) and the official starting point of the Kumano Kodo pilgrimage’s Kohechi route. 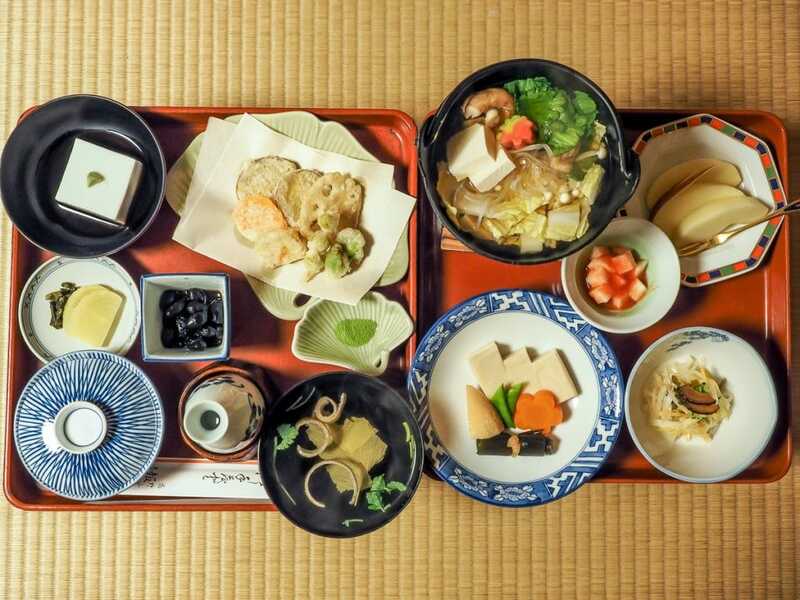 For travelers today, the most interesting aspect of visiting Koyasan, besides the enormous cemetery, is the opportunity to stay and dine in one of Koyasan’s 50+ shukubo (temple accommodations) and feast on meticulously prepared shojin ryori (Buddhist vegetarian meals), which are served to you in your temple room with, surprisingly, your choice of beer or sake! 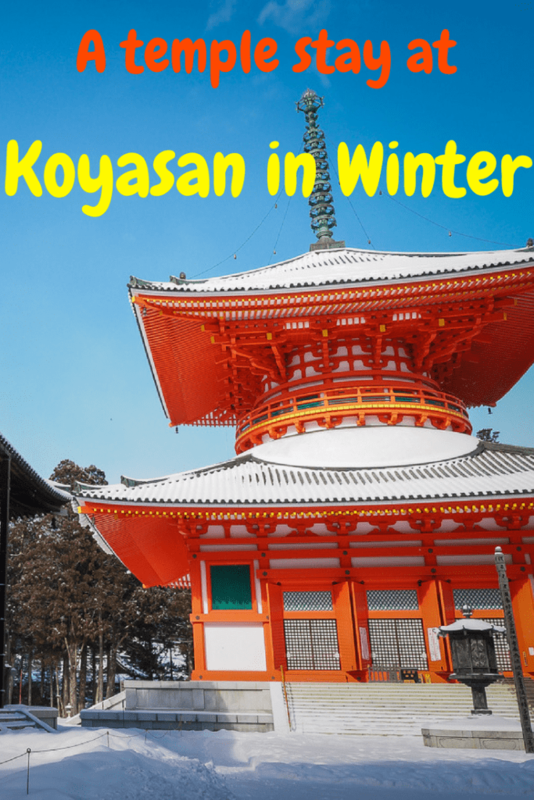 Below I’d like to share some details that should help you decide which is the best temple to stay in Koyasan for you, give some tips to those considering visiting Koyasan in winter, which I’d highly recommend, if you can handle the cold, and also tell you how you can get from Osaka to Koyasan (or Koyasan to Osaka) I hope this information helps! After arriving at the Kansai International Airport in Osaka, I wanted to go directly to Koyasan and arrive before dinner, which can be done if your flight arrives before about noon. This involved taking a train towards Osaka and then transferring onto the Nankai Koya line at Tengachaya. If you plan to spend a day in Osaka before heading to Koyasan, reserve your seats in advance on a limousine bus, on the Nankai train line, or in a private car, and make sure to pick up an ICOCA card here for swiping onto most public transportation in Osaka, Kyoto, and the Kansai area. Here’s how to see the best of Osaka in one day. To get from Osaka to Koyasan from the Osaka city center, you can get on the Nankai Koya line at Namba or Shin-Imamiya stations, which takes about 1.5 hours to Gokurakubashi station at the foot of Mount Koya. You can save money by getting this two-day Nankai line pass. Check the train times on HyperDia. The Nankai line is not covered by the JR Pass, so do consider that when deciding whether to get a JR Pass. Tickets on the Koya Line include the free Koyasan cable car ride at the end which takes you up the mountain, then you transfer to a 10-minute bus ride into Koyasan village. When I visited in February 2018, the Koyasan cable car was out of order from a heavy storm that damaged it in October last year. I was only able to take the Koya line as far as Hashimoto, from where there was a free shuttle bus up to Koyasan village that took about 1.5 hours, running roughly every hour. The cable car is running again as of summer 2018. Consider getting this Nankai Line two-day rail pass (you can choose the two days). The ride from Osaka to Koyasan and back almost covers it, and if you take one more ride (for example to or from the Osaka airport on one of those days), you are saving money. 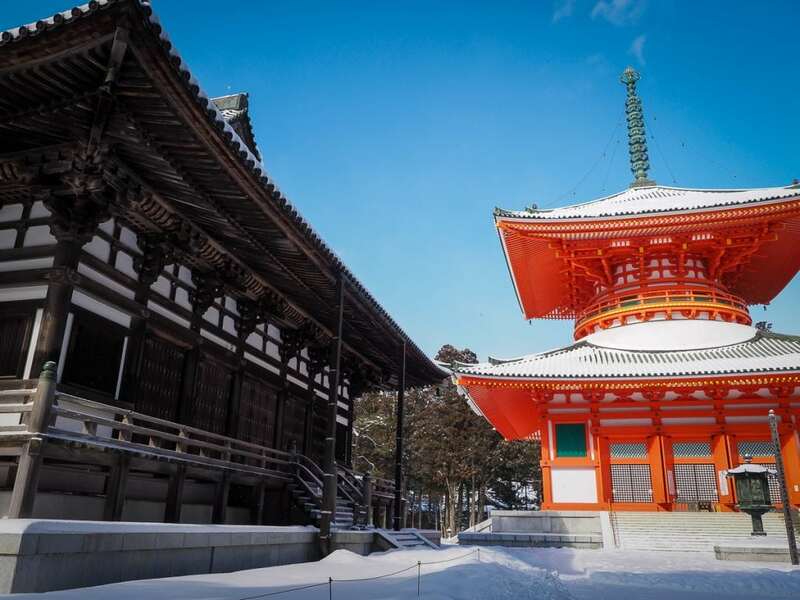 If you are visiting Koyasan plus other places in the Kansai region (such as Kyoto, Nara), then a Kansai Thru Pass can also save you some money. There is a huge amount of information in English about transportation and other travel matters in the Wakayama and Kumano Kodo region on the Tanabe Tourism website. This site was a valuable resource when I was planning my trip. I had wished for snow, and on the day I arrived in Japan, some of the heaviest snowfall in 40 years was recorded in certain regions. I was born and raised in a place where we have snow up to eight months per year, and most people in my hometown would think I’d gone mad to now miss it. As I saw the first frost on rice paddies and then the scenery transformed into snow covered forests on the bus ride up to Koyasan, I was giddy with excitement. 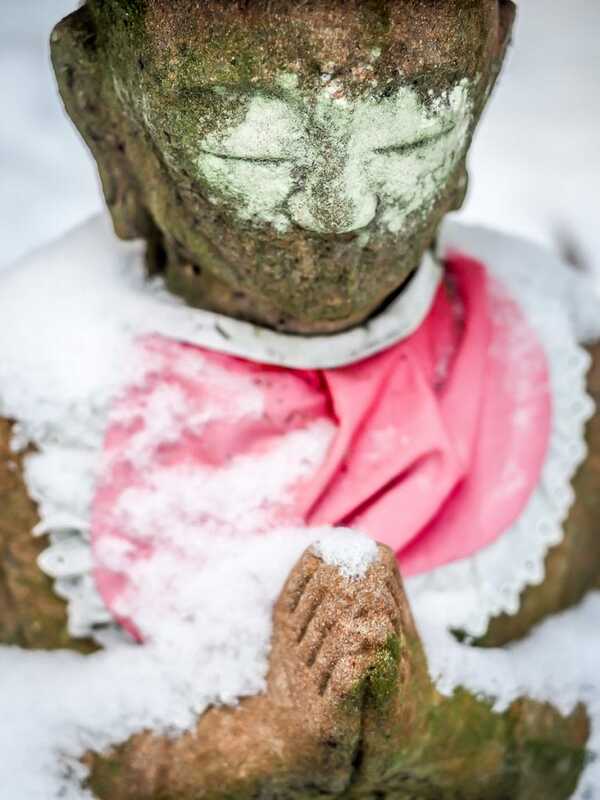 And when I woke up the next morning at my temple stay to find that fresh piles of snow had been dumped on everything overnight, I was in awe. 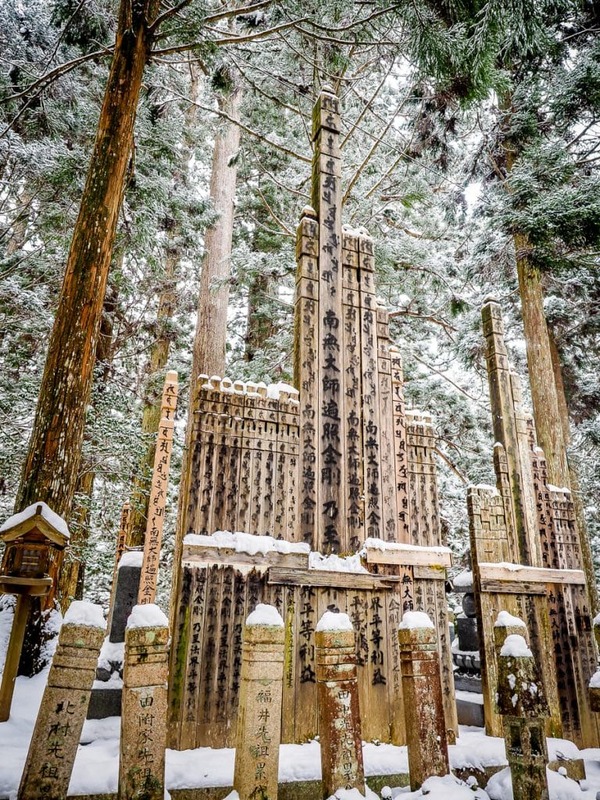 Koyasan’s temples and the Okunoin cemetery looked surreal, like some kind of frozen Buddhist wonderland, when topped with snow. The lowest temperature during my stay was -9°C, which the monk at the temple said was the second lowest he could recall in his years there. As someone who grew up with annual winter temperatures below -30°C, to say this is really cold seems laughable, but the truth is that when you are staying somewhere that lacks a central heating system, anything around or below zero INSIDE YOUR ROOM is damn cold, no matter who you are. Both temples where I stayed provided a single gasoline heater unit in the room where I slept but nowhere else, so your room is pretty much where you stay when you aren’t out exploring. At night, the heaters turn off automatically every three hours (I found the same thing elsewhere in Japan), then it would soon get so cold in the room that I’d wake up and turn it back on again. And get ready to freeze your buns off every time you walk out of your room to the bathroom! At least the toilet seats are heated in Japan!! 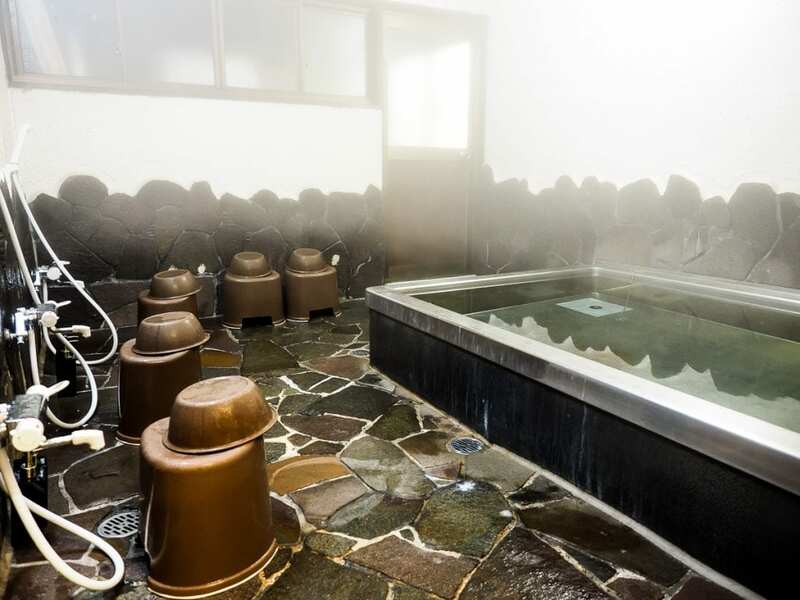 But there are ways to stay warm: bathing in the scalding hot onsen before bed is a glorious thing, warming your entire body through and through before you hit the hay. Also see my post on hot springs in the Kumano Kodo area! When out exploring, the early morning was the most intense and when you’d be most at risk for frostbite; the trouble I had was that I take a ton of pictures, so I wore fingerless gloves to be able to manipulate my camera without taking them off, but the tips of my fingers began to freeze from being exposed and especially from touching the cold metal and plastic parts of my camera and tripod. I generally found that continuously moving was the best way to stay warm, as well as covering up my fingers for a while to rewarm them after bouts of picture taking. 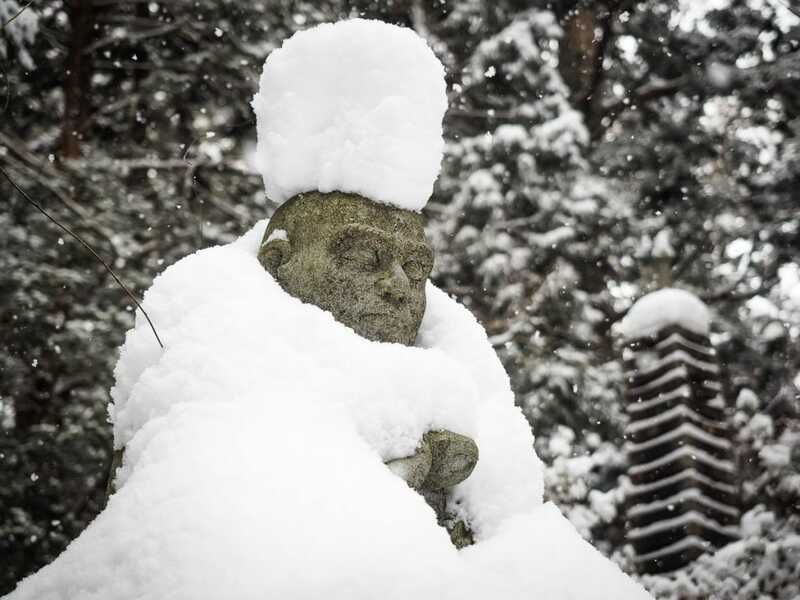 During the day it warmed up a bit, so wear multiple layers if you visit Koyasan in winter. 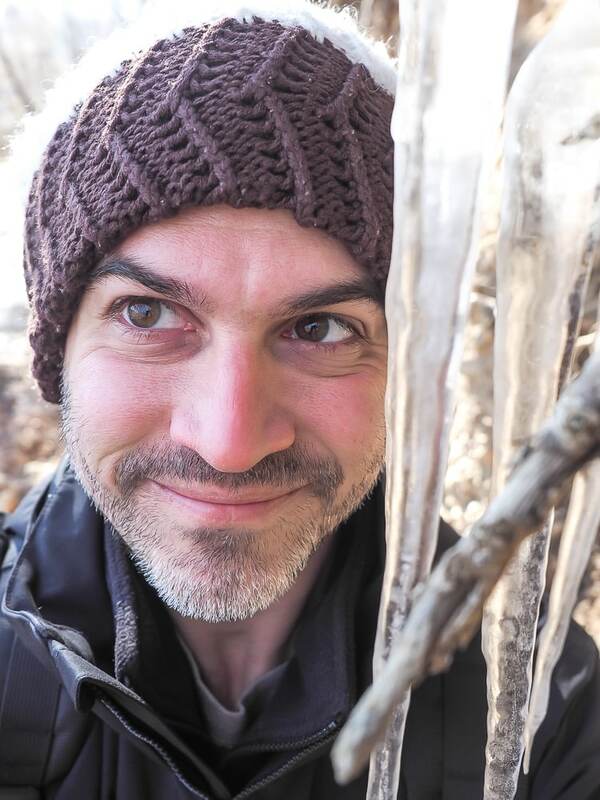 I actually found that (since I had about five layers on), my core would actually get too hot and sweaty from the exercise of tramping around through the snow, but my extremities like my nose and fingers were usually the coldest part. So what should you wear? Ggood gloves, a scarf, and of course really good shoes are all absolute musts. The opportunity to do a shukubo (temple stay) in a Mount Koya temple lodging is one of the main reasons travelers are attracted there. Even if it is out of your budget (the cheapest shukubo start at about 10,000 yen/night, dinner and breakfast included), I would personally recommend splurging here and then making up for it by staying in a cheaper hostel somewhere else on your trip (I stayed in a tent outside a hostel a few nights later for only 1500 yen). First a warning: you must be aware that you are not going to have a true “monastic” experience during a Koyasan temple stay. My overall impression was that it was like staying in a (very beautiful) traditional guesthouse, except that the hosts happened to be monks. The morning prayer and Homa fire ceremony is performed for us the tourist guests, and I didn’t see any monks going about their “monk-affairs”. They must be hidden away in some other part of the temple, or perhaps meditation-hibernating throughout the winter. Nevertheless, going into it knowing all of this and expecting nothing more, I truly enjoyed my two stays, and loved having the alone time in my room and opportunity to linger in and photograph the beautiful temple surroundings. And the food alone is practically worth the cost! Koyasan actually has one hostel called Koyasan Guesthouse Kokuu (see reviews / check prices), if you really must go cheap, and reviews and photos indicate that it is superb one. 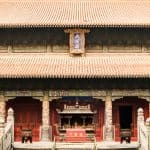 In fact, my original plan was to stay in a temple one night and save money by staying in this hostel the second night, but it turned out that the hostel was closed for the month, so I ended up staying in two different temples. 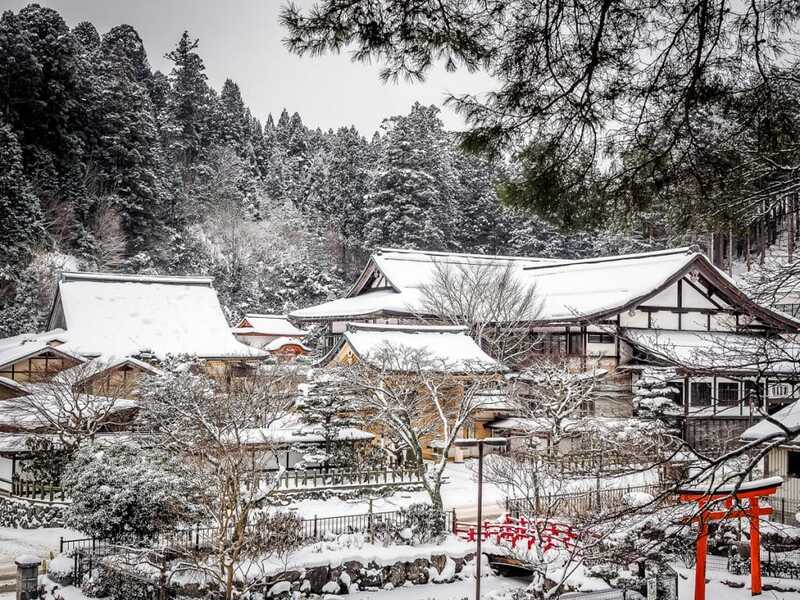 Eko In Koyasan: The Best Temple to Stay in Koyasan? For the first night, I booked a room at the popular Eko In (Ekoin) Temple (see reviews / check prices). 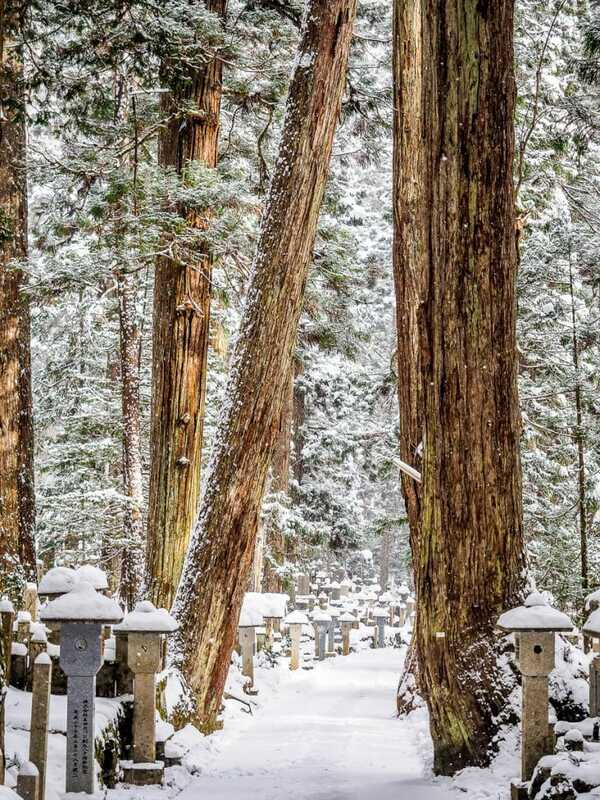 For starters, the location right across the street from the entrance to Okunoin cemetery was phenomenal. Especially given the extreme cold, I was able to make multiple little trips to the cemetery and go back to my room to warm up. If you were staying in the other end of town, you’d have to make a 15-minute walk each way or take the bus. Eko In actually organizes the nightly walking tour of Okunoin, but I much preferred to do that on my own. The grounds of Ekoin Koyasan are simply gorgeous, and the simple rooms overlooked a courtyard so pretty that I got beautiful shots right from my room window. I think some of my best photos from Koyasan are of Ekoin itself, which is not something you’d usually say about your accommodation on a trip. The popularity of Eko In comes at a price; I could see that, since there were quite a few other guests while I stayed in winter, so I’d imagine in summer the place must always be fully booked, often with large groups. Some reviewers complain about the thin walls, and I did indeed hear someone’s TV going until late (who needs to watch TV when staying in a temple?) but this could happen at any traditional guesthouse in Japan, and its nothing a set of earplugs couldn’t fix. 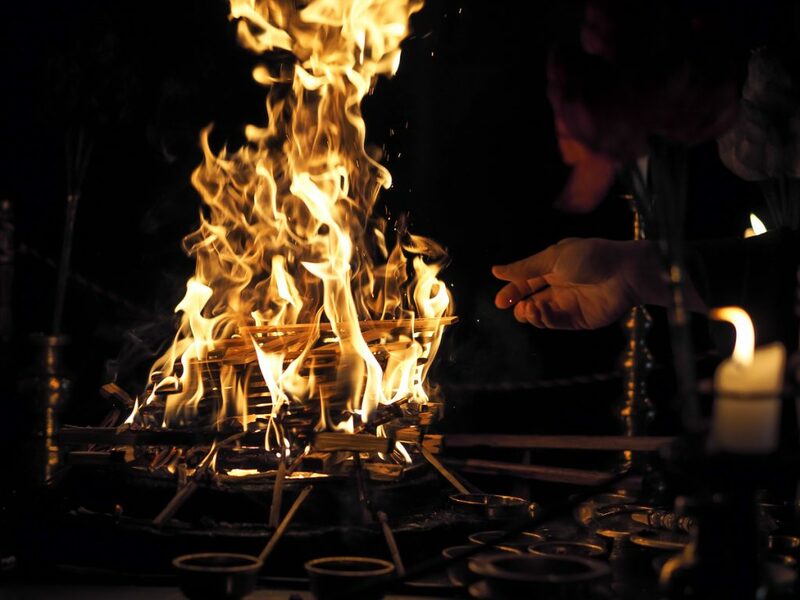 The morning prayers/chanting at 7 am (earlier in summer) took place in an ornately decorated chamber, and the following Homa fire ceremony, in which one monk drums and another chants and makes a bonfire out of sticks that we the tourists have written wishes (and paid donations for), was truly enchanting. Personally, I don’t care how “touristy” a performance is; I’m happy if I’m able to get good photos. Photography is allowed, just be discreet, turn off your flash and shutter sound, and use your camera’s lowest aperture if you want any hope of getting a clear shot in those dark rooms. I got the shots above with a low aperture lens and by stabilizing my camera right on the floor in front of me while sitting and using the flip up screen. Most other tourists were respectful, but some had their smartphones up the whole time. 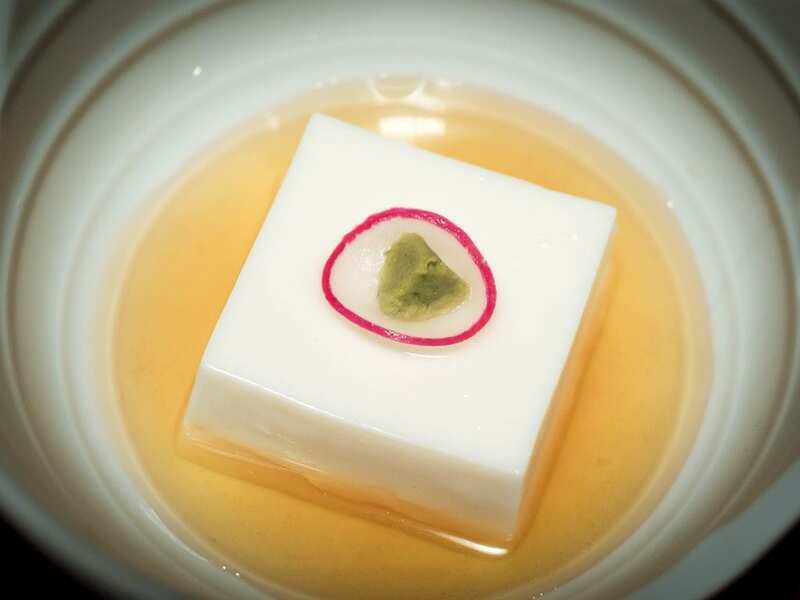 For my second night, I wanted to have a more solitary experience in a less popular temple, so I choose Hoon In Koyasan (see reviews / check prices), which had been recommended by one reviewer for its excellent food (see below). 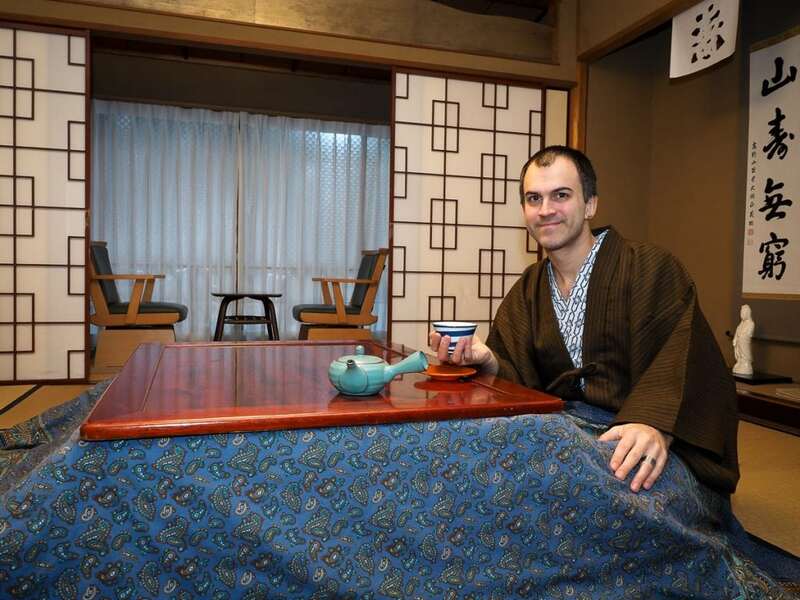 As I had expected, I was the only guest there that night, which really didn’t make a big difference, except that I got to have the onsen all to myself. I only saw two monks during my visit, the young and very accommodating man who took care of all my needs, and the elderly (head?) monk who performed the morning prayers just for me. There was no fire ceremony but seeing it the day before was enough. In comparison to Eko-In, the temple grounds at Hoon-In weren’t quite as impressive, and while the room I stayed in (see photo above in the “staying warm” section) felt a little more “lived in”, it was actually larger than my room at Eko-in, with two attached side rooms and chairs (a rarity in traditional guesthouses), and a kotatsu (low table with futon that is heated from below). Hoon-In was located at the western edge of town, making it more convenient for exploring the temples at Garan (see final section below). 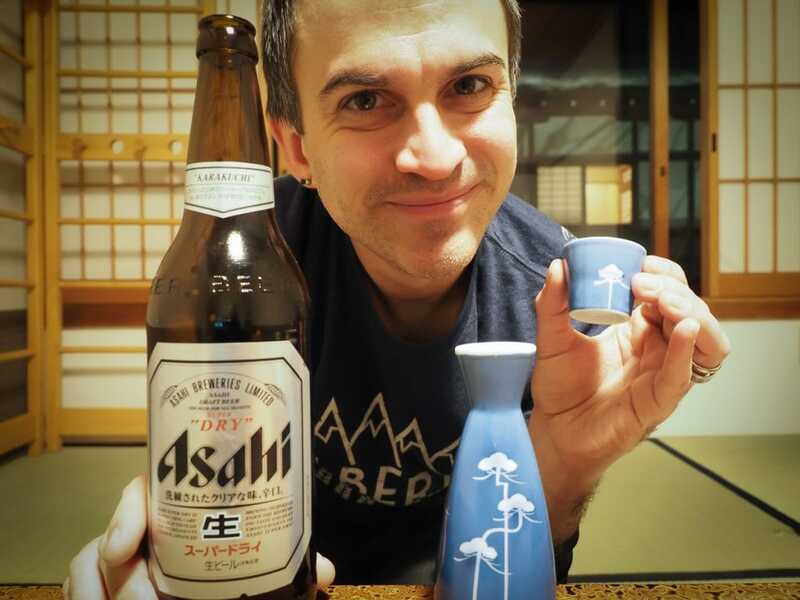 If you have two nights to spend at Koyasan, I’d really recommend staying at two different temples if you can afford it, and I can’t make a single major complaint about either of these ones! 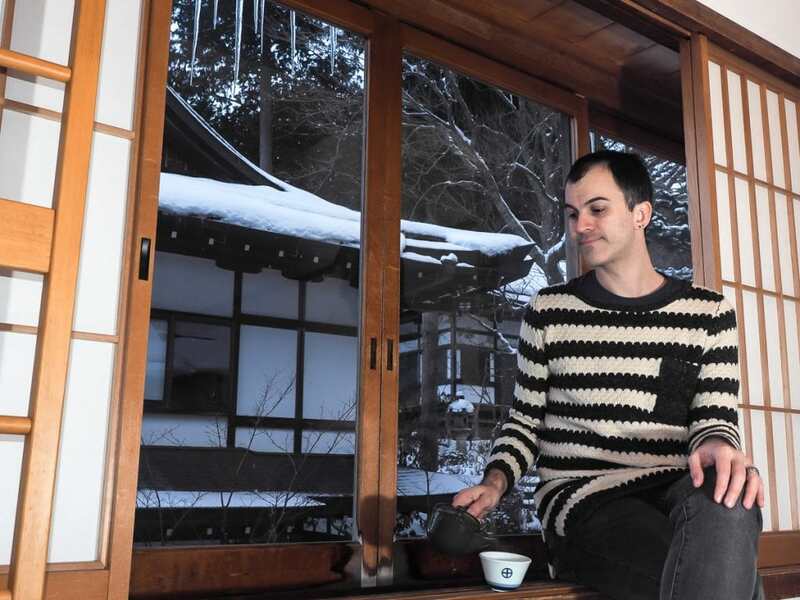 My impression is that there is no single best temple to stay in Koyasan; most of them have really good reviews, and it kind of depends what you are after! First, let me point out that my diet has ranged from vegan to pescatarian for nearly 20 years and I live in Asia, so I’ve eaten A LOT of Asian vegetarian food in my life. Still, the shojin ryori meals served up at every temple stay in Koyasan are easily some of the best vegetarian (actually, they are totally vegan) meals I’ve ever had. I loved the fact that they were served right in my room (I’m a solitary traveler; I don’t care about meeting other people), and that way I could unashamedly spend as long as I wanted taking photos of my food before I ate it. And, amazingly YOU CAN ORDER ALCOHOL WITH YOUR TEMPLE MEAL!! (I’m a beer lover, and I don’t care how un-Buddhist this might seem). The shukubo experience at Koyasan is primarily a tourist endeavor and a source of income for the temples, so if they want to serve me beer and make more money from me, I want to let them. So let’s go back to the food. The dinners I was served in both temples were nearly identical, with Hoon-In being ever so slightly more artfully presented. I listed some of the items that were included below. If you want a chance to try a shojin ryori meal without staying overnight in a temple, you can do so on this day tour from Osaka! Goma-Dofu: I put this first because it was probably the most delicious tofu I’ve ever had. It’s made from ground sesame seeds and has the texture of firm pudding, literally melting in your mouth, and comes with light soy sauce and a dab of wasabi. AMAZING. For breakfast, which is served after the morning prayers, I got: seaweed, rice, a tofu patty, pickled plum and vegetables, braised kiriboshi daikon (white radish), and miso soup. Bring your own coffee if you need it like me! Some people in reviews complained that the food wasn’t enough, to which I would reply: How much food do you beasts eat? I could barely finish mine, and going for a scalding hot bath after stuffing myself was a recipe for an amazing night of sleep. 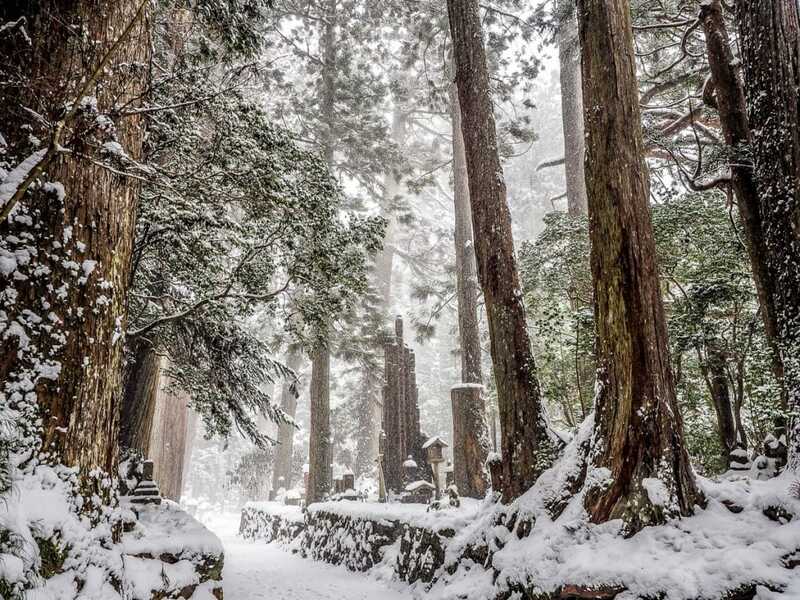 I’m not going to say much about Koyasan’s main attraction, Okunoin Cemetery (read about it here), except that if you only see one thing in Koyasan, this is it. A walk along the cemetery’s main path, which will take you past some 200,000 tombstones and statues, is a hauntingly evocative experience. The forest here breathes centuries of history and veneration, making it an ideal location for the traveler’s meditation I’ve described. I’m sure the cemetery is magical in any season, but I found it particularly photogenic with all the snow piled up on the tombstones and statue heads, with goegeous whites and evergreens in the background. This is not a path to rush along but one to spend a whole morning stopping, admiring, photographing, and generally appreciating. Photos aren’t allowed at the final temple, Torodo Hall, and the Kukai (Kobo Daishi) Mausoleum behind it, and these incredibly important sacred sights probably won’t mean as much to you as they do to the Japanese, but they at least provide a sense of “making it to the end” of your cemetery jaunt, and the 10,000-plus lanterns hanging in the Hall are a sight to behold. Garan (the sacred precinct) is a large park that features several temples and is definitely worth a stroll, though I personally didn’t find it necessary to pay and go inside each of them (200 yen each). The park was actually larger than I had imagined from looking at maps before I arrived, and when I visited, snow was falling pretty hard, so I didn’t linger or get many photos. The town’s only Family Mart is near the park’s southern entrance, which makes a good warm escape if you need it. 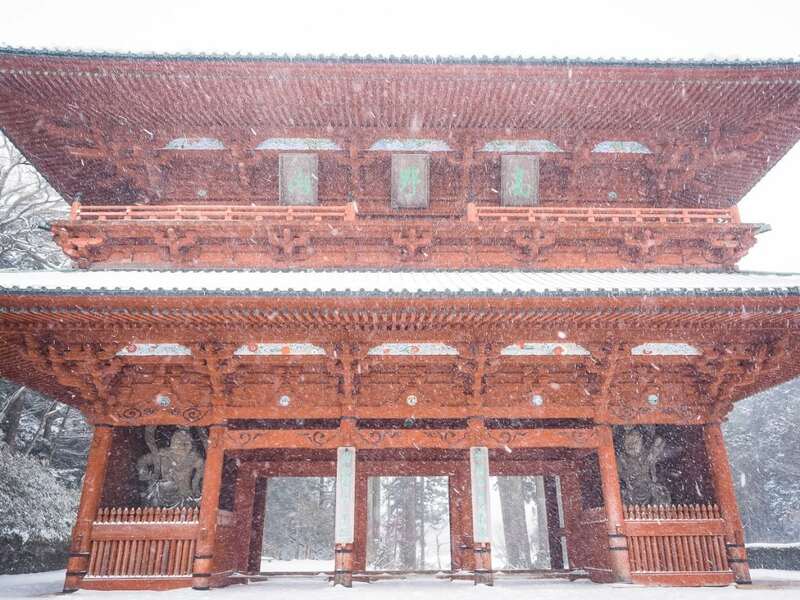 This shows just how fast the weather can change at Koyasan. I took the below photo of Konpon Daito (the orange temple) in Garan an hour after the above one. I had decided to wait out the heavy snow at Family Mart and it soon improved! Near Garan, I also visited Kongobuji, the headquarters of the Shingon Buddhism sect. To be completely honest, I wasn’t blown away by this temple. 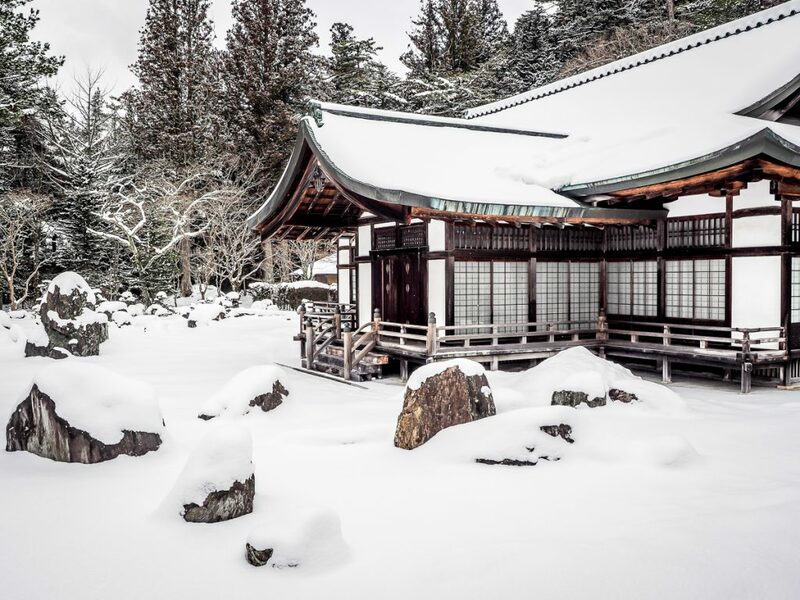 Photography is mostly not permitted inside (sad me), including of all the beautiful fusuma (sliding doors) on display, and the main feature, the largest rock garden in Japan, was covered with snow so it wasn’t much of a rock garden. Once again, I kind of wondered where all the monks were hiding, too; it felt more like a museum than active temple. Overall, I’d say the temple’s cultural significance is more important than what you can actually observe. 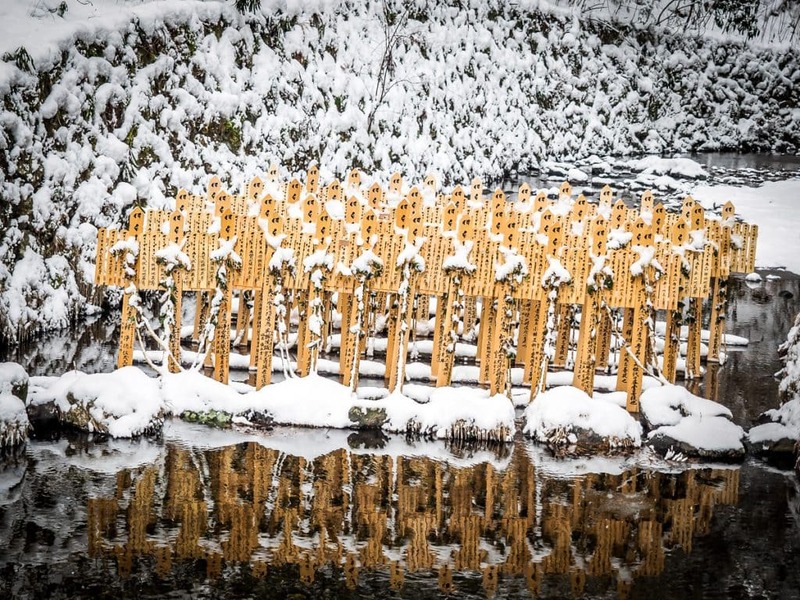 this is the classic shot of Japan’s largest rock garden at Kongobuji, except covered in snow. You can buy this image from my Spiritual Photography page. At the far western end of town, the enormous Daimon Gate is worth the 5-minute walk past Garan, and this is also the starting/middle/end point of several hikes. One is the Choishi Michi Trail, part of an ancient pilgrimage trail that goes downhill from here for several hours all the way to Kudoyama train station (most people would walk up from the station). Daimon Gate is also a midway point on the Women’s Pilgrim Course, or Nyoninmichi Loop, which takes in the six Nyonindo temples, the closest that women were once able to get to Koyasan. I had actually intended on walking the 2.5-hour portion of the latter hike which leads from Daimon Gate through the hills to Okunoin cemetery, except that after tramping through the snow all morning visiting the sights in town, I was already fully pooped, plus the warning signs at the beginning of the trail of recent bear sightings didn’t help. I walked a brief way down the Choishi Michi Trail, and I would say that if you are really considering doing any of these trails in winter when there’s snow, it’s certainly possible, but the snow was pretty thick, making walking very tiring, and you’d really need to have good footwear. Also, they say making lots of noise helps to warn bears of your presence. There were a few (but not many!) places to get lunch in town; I found a simple eatery with Japanese classics like udon noodles, draft beer, and more of that mouth-watering goma-dofu. There was also a single beer and sake vending machine (I love you Japan). Winter is truly a magical time to visit this magical destination. 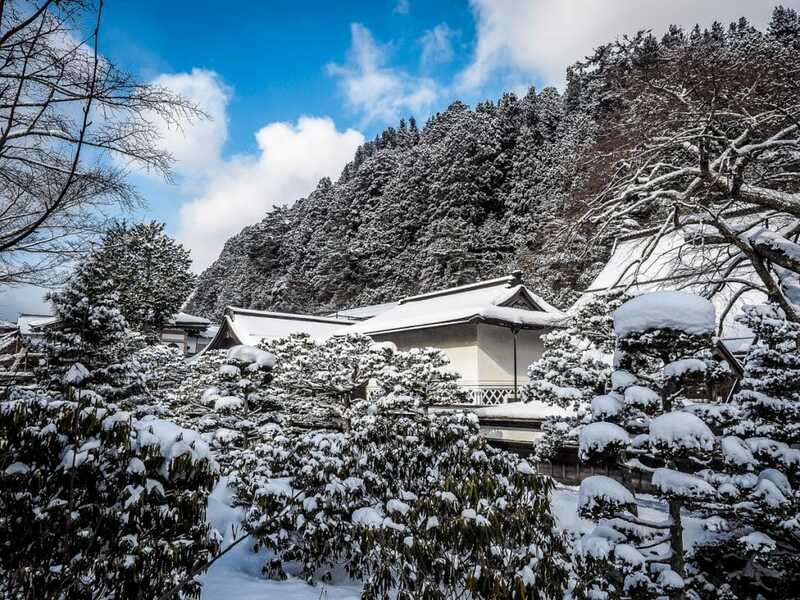 You’ll feel like you have the sights, town, and your accommodation mostly to yourself, and if you are lucky enough to get lots of snow like I was, it covers Koyasan’s surroundings with a gorgeous, fluffy white blanket. 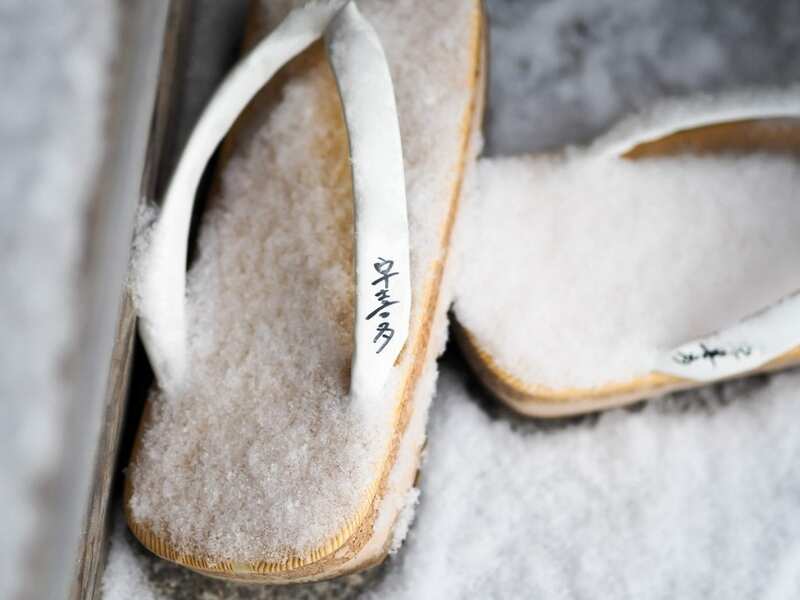 The cold was intense at times, especially first thing in the morning, but also added a sense of adventure to the whole experience, and made the unique, hot shojin ryori meals taste that much better, and onsen baths that much more soothing. For more info about Eko In, see reviews on TripAdvisor or check prices here! Disclosure: This page contains affiliate links. These are products and services that I personally use and recommend. If you click on one and buy something, I get a small commission, at no extra cost to you. Way cool! Literally. This is one of the few places on earth I need to visit during the winter. Relaxing in perfect weather in New Zealand now but Japan is on my list. Please get back to us soon! I would happy to provide high res photos for commercial use at a very reasonable rate. I’m very flexible! Please email me at nickkembel@gmail.com for further discussion. Thanks you for asking!